There are more than a few reasons why Minnesota is just wild about having John Madden in the mix. His leadership qualities are impeccable. The respect he garners is well-earned. But they're far from the only traits that have made the man known as ‘Mad Dog' a welcome addition to the Minnesota Wild. A former Selke Award winner as the NHL's top defensive forward, Madden, a graduate of the University Michigan hockey program, might be one of the game's most unheralded stars, someone who might not make the highlight reels, but one who never seems to make any glaring errors. The type of performer, one could say, that is tailor-made for Stanley Cup success. For a player who felt he had no shot of making it to the NHL, Madden, who scored four goals on October 28, 2000, at Pittsburgh, has become well-known around the league for his solid all-around game and ability to stifle the opposition's top offensive stars. Keeping the other team's top players off the scoresheet is something Madden, who went undrafted, has done with great zeal since arriving on the NHL scene in 1998-99, when he appeared in four games with the New Jersey Devils. One of his biggest career highlight came in his first NHL season, 1999-2000, when New Jersey won the Stanley Cup. He's added two more since then, in 2003, also with the Devils, and with the Chicago Blackhawks in 2010, the team he signed as an unrestricted free agent with on July 1, 2009. Quiet by nature, Madden, who collected his first career NHL point on January 18, 1999, against the San Jose Sharks, prefers to let his on-ice efforts do the talking. During his time with the Devils' American Hockey League affiliate in Albany, the coach pulled him aside and offered key advice to the then aspiring NHLer. In spite of his lofty numbers in the AHL, Madden committed himself to the defensive side of the game, dedicating his efforts to that side of the game. With over 800 games played at the NHL level, including the 2001 Selke Award (he was also a finalist in 2003, 2004 and 2008), that decision, over 10 years ago, was one he certainly doesn't regret. 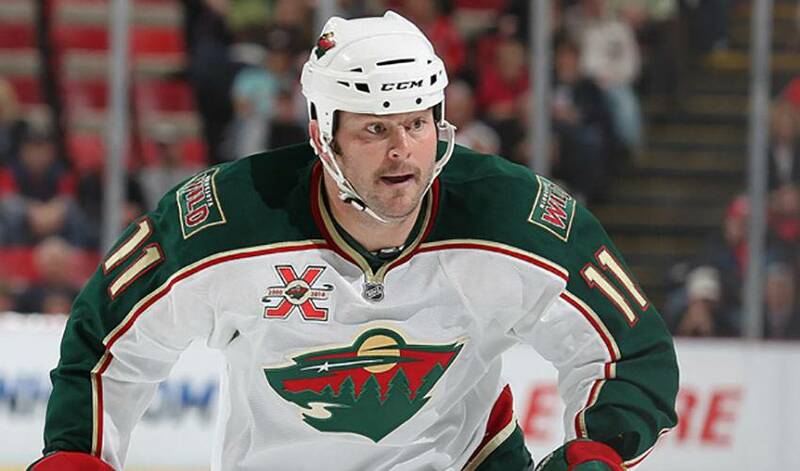 While he won't lead the Wild in scoring in 2010-11, Madden, now 37, will be as invaluable as ever, a respected veteran who will look to play his part in getting Minnesota back into the playoff picture after a two-year absence. His formula remains the same: shut down the opposition and do the little things that can make a big impact.